There’s something rewarding about taking an old object and reinventing it. Sometimes it’s as simple as painting an end table a new color. The worn out arm chair from an antique shop suddenly looks modern and chic once recovered in grey burlap with metal rivets. Suddenly you’re ready to redecorate the whole apartment, metal rivets on everything! Maybe it is a little more involved, maybe you have to actually reinvent the object and upcycle it to give it a new life. One of my favorites on Pinterest is a picture of a recycled pallet. Some creative mastermind turned it into a shelf for pictures… it is perfect, and has an earthy but polished look. I love the black frames, and how different they all are. Different designs, different shapes. You could vary your pictures like they do – black and white, colorful, new, old. What has been created is an easy photo wall that invites guests to look at some treasured photos without pretention. 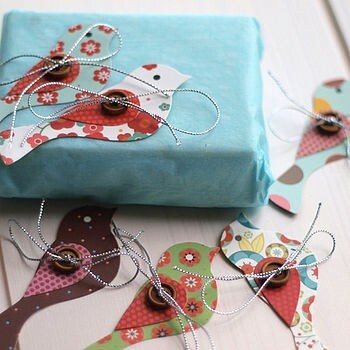 Another thing that I love are these bird-shaped gift tags (also found on Pinterest)! Perfect for gifts and absolutely adorable! Another use for these would be some homemade ornaments for a tree. If you have some extra fabric scraps sitting around, this is a great way to use them and will add a little extra festivity to the gift. Or if you are not a fabric hoarder like me, you can always buy some swatches of fabric for cheap. With the holidays coming up, I like to keep an eye out for slightly different, interesting wrappings! 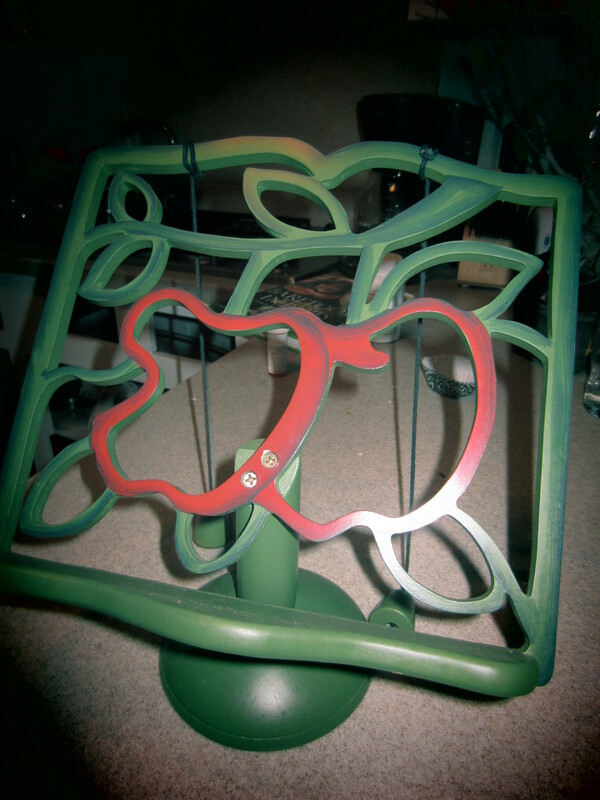 I found this music stand at a yard sale, and bought it for a dollar. 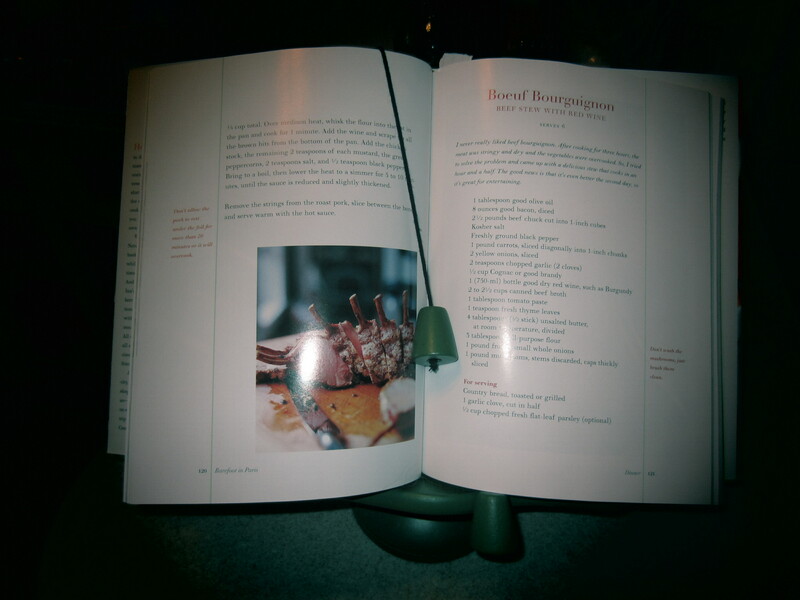 It is now a great cookbook holder in my kitchen! This wasn’t a huge stretch, since it is meant to hold a book while you do something else with your hands, but I think that makes it all the better. The stand has placeholders so you can flip back to your recipe if you have to look up another quickly. 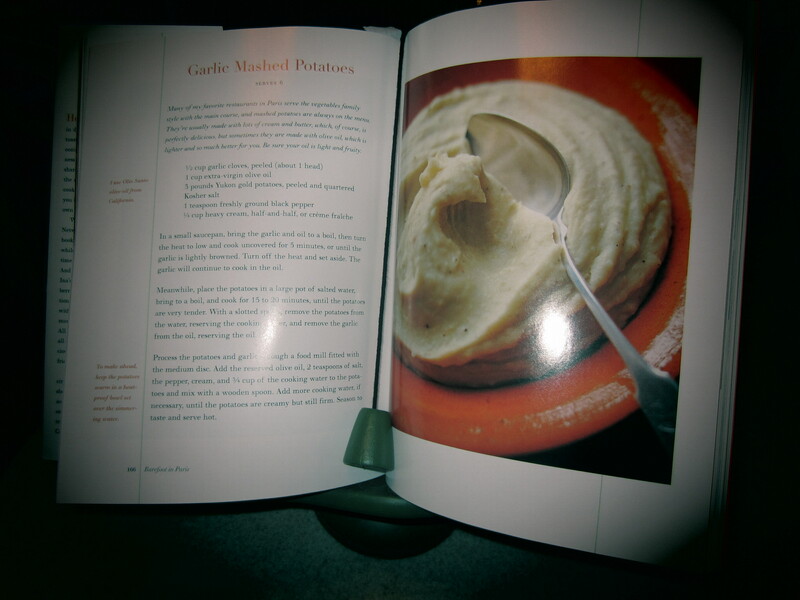 It’s lightweight but holds a decently heavy book (although my Julia Child cookbooks are decidedly too large), and the apple adds to a more kitchen-like vibe. Now, off for a run and then out to eat fajitas!